I am still going strong although the beginning is slow with a lot of trials and errors. I am slowly learning how to work smart after wasting hundreds of hours trying to work hard. I think blogging can be easier than I thought, as long as you figure out how to do things right and develop a prototype for posts. 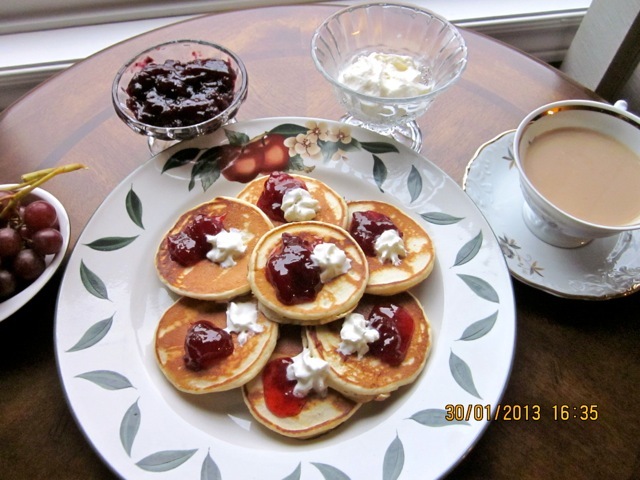 Today I am sharing a recipe on pikelets. 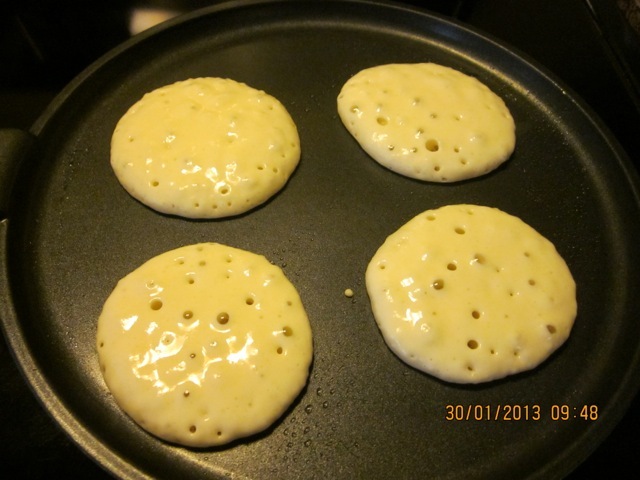 My mother used to call them drop scones, some people call them crumpets but I realize in making crumpets yeast is used as a raising agent, the batter is thinner and is poured into a crumpet ring, during cooking. I love them because they are so easy to prepare and tasty too. I prefer to eat them plain, but you can come up with your own ideas of serving them. Always remember to assemble ingredients, before you start cooking. 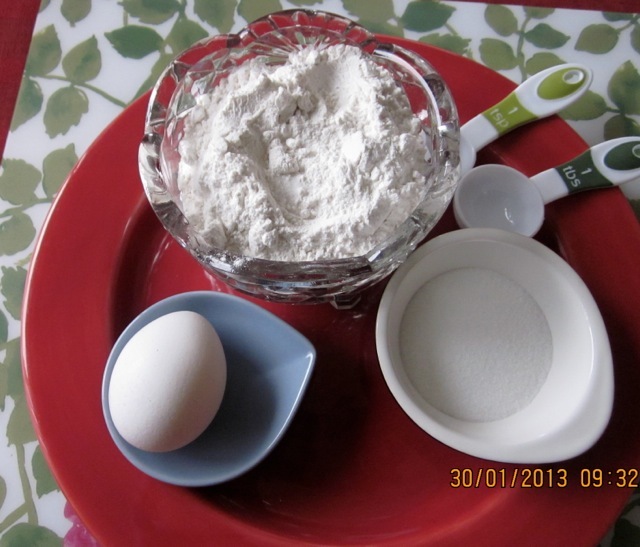 Sift flour, baking powder, salt and sugar into a bowl. Make a well in the center. Heat a non-stick frying pan. Brush with melted butter or oil. 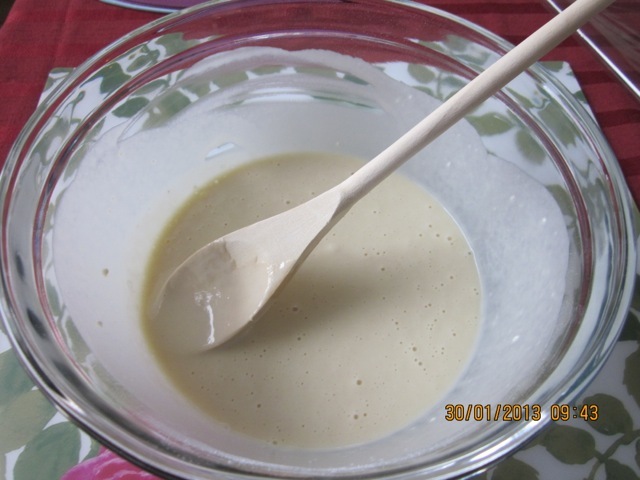 Drop tablespoons of batter into the frying pan. Allow room for spreading. 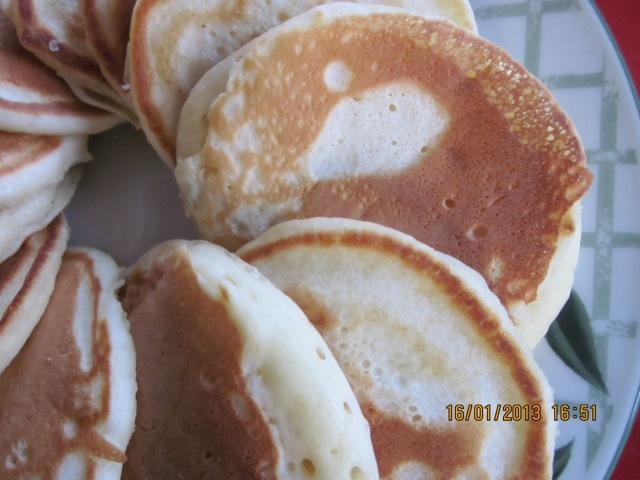 Cook pikelets until small bubbles begin to appear on the surface and the underneath has turned golden brown. Turn pikelets over, and cook the other side. Transfer on a plate. 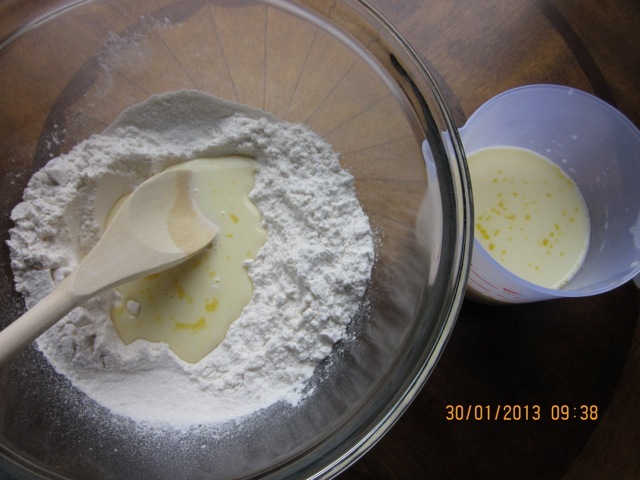 Repeat the process with the remaining batter. Serve, topped with jam and freshly whipped cream or just serve plain, if preferred. I cooked using moderate heat. Was able to cook four at a time. 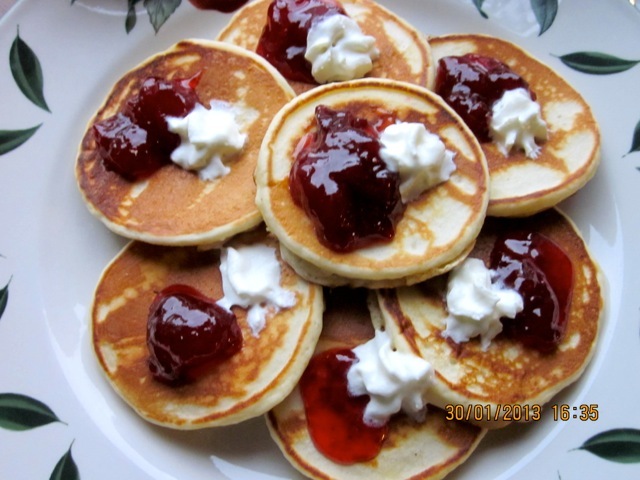 One of my childhood memories: a childrens afternoon pikelet eating competition (how many? not sure all these years later but it was deep into double figures ie. waaay waaay too many) and let’s say I didn’t sleep well that night or feel well the next day because of my chronic over indulgence. The only thing that made it a bit better was that my sister and friends who were on holiday with us at the time and joined in, also suffered for their gluttony as much as I did. 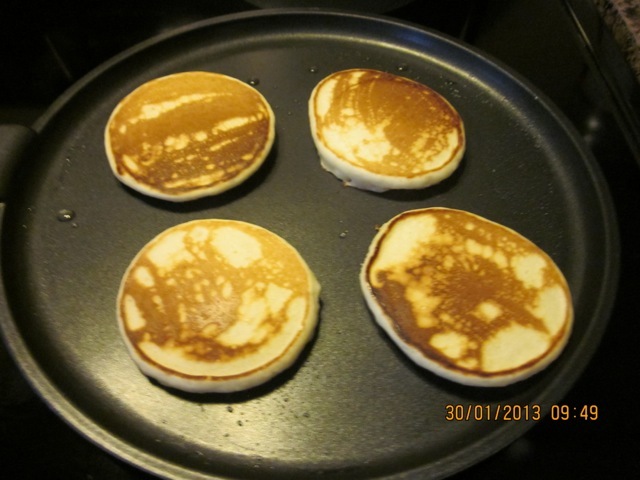 In spite of this childhood mishap i still looooved pikelets but haven’t made them for years because I now live in The Netherlands and simply got out of the habit of making them… I’m going to have to remedy that very soon. Your photos bring back so many childhood memories! Thank You!!! My mother used to make them. Many years ago, usually in the mornings with some tea! We would hover around and pull her skirt and whine and wait with glee. She would make a huge pile, and when the plate finally hit the table the “eating competition” would begin and we even counted who ate how many. I can never forget the good old pikelet days. I stopped making them for a long time until I started this blog and now it has become a ritual here in my house. We fill them with different things. The other day I made blueberry pikelets and as usual the eating goes on and on and on…it doesn’t stop until the plate is empty. Good old pike lets!!! Thanks for stopping her and thanks for leaving many messages. I can feel your energy and that’s a good sign. Have a wonderful week and by the way I studied in “Wageningen University” and have loads of Dutch friends. I love Dutch cuisine, but haven’t seen any yet on your blog, will be browsing some more! These remind me of growing up. My mum used to make huge batches of these & we would eat them with butter & jam! Omg how similar, my mother used to make batches of these too and we used to love them so much, with butter and jam too. We never had a fridge those days so cream was unheard of. Thanks for giving me fond memories!!! and thanks for stopping by and thanks for leaving this note. Have a wonderful week!!! Looks delicious! must try it sometime.!!! They are soft, nice and fluffy. Great for kids!! Please try them sometime, if you do, please give a feedback! They are delicious and soft too. Very nice for children! Oh I love these things! They are really simple and easy to make in the morning when you don’t want a big fancy meal. Ready in minutes for you to enjoy with a great cup of coffee. I love them too, especially the blueberry pikelets. I shall be posting the recipe soon. Thanks so much for visiting my blog again!!! 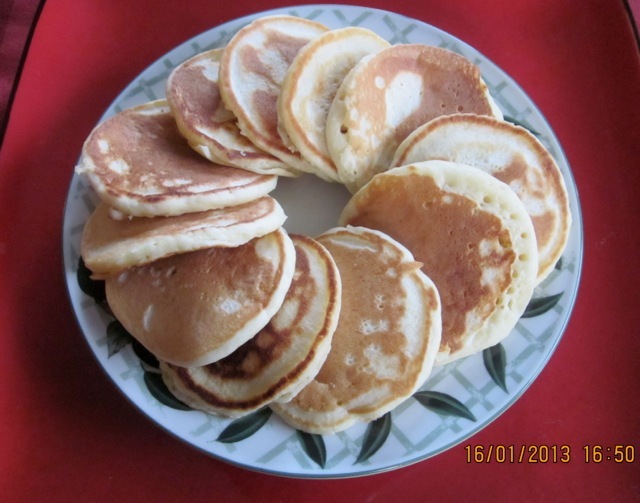 Hot drop scones…memories…used to love these. Jamaica has something similar. Infact, Jamaica has a lot that is similar to other recipes in my past, like Kaimatis—yummmmm! I just love Kaimatis. Nothing like a good hot Kaimati, straight from the deep fryer!! I need to get the recipe and make some for the blog. Thanks for visiting!!! Tanisha, it’s so great to hear from you! If you do try out a recipe, please give me a feedback!